Hello there friends! How are you on this Monday morning! 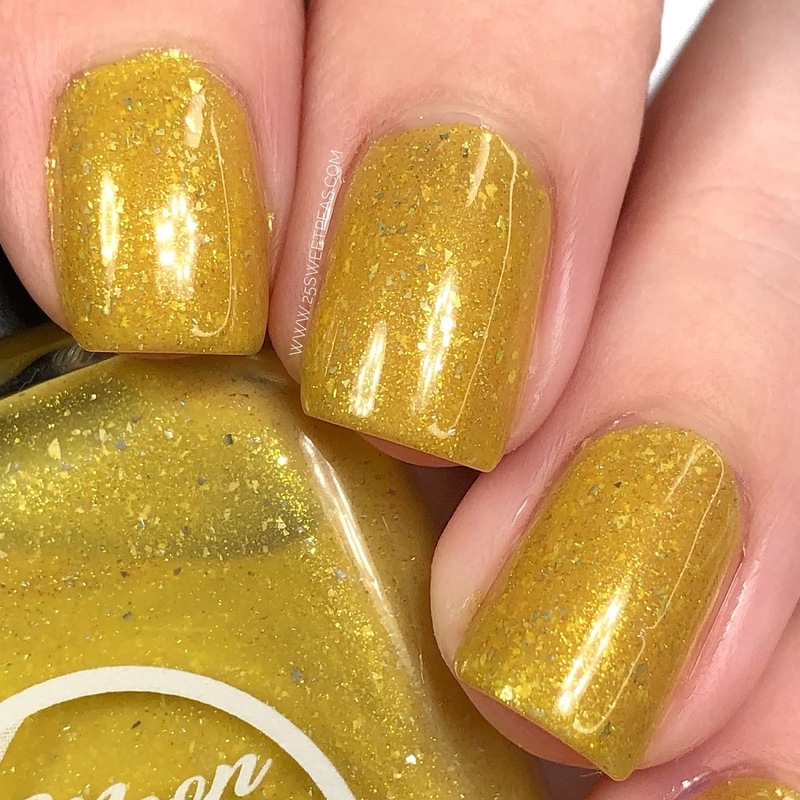 Today I have a few fun polishes to show you. 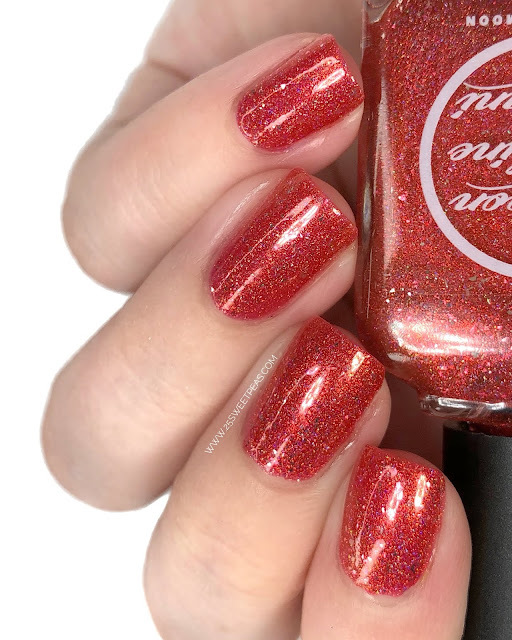 As you probably already know Polish Pickup is this upcoming weekend. That being said this next months theme is a bit different than past months. The theme is Famous Duos/Pairs and that has resulted in all sorts of different things. 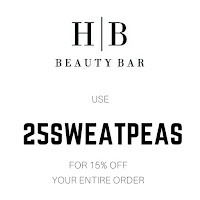 Some brands have teamed up to create a duo together, while other have two polishes. 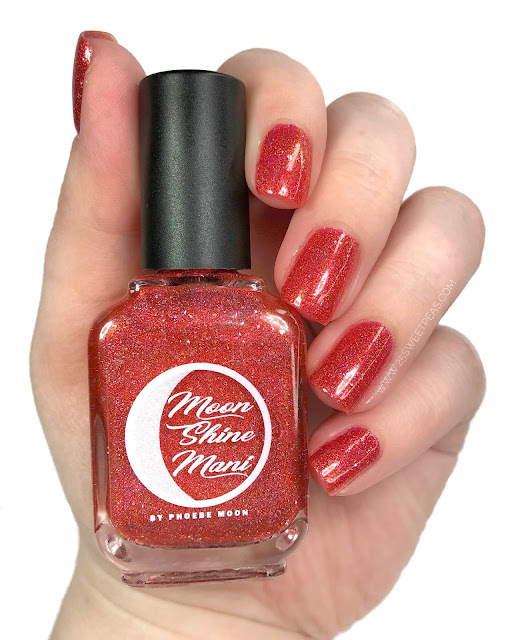 I believe all brands that have 2 of their own polishes, will only have one on the PPU website and then one on their website, and that is actually how the Moon Shine Mani Famous Duo will be working! 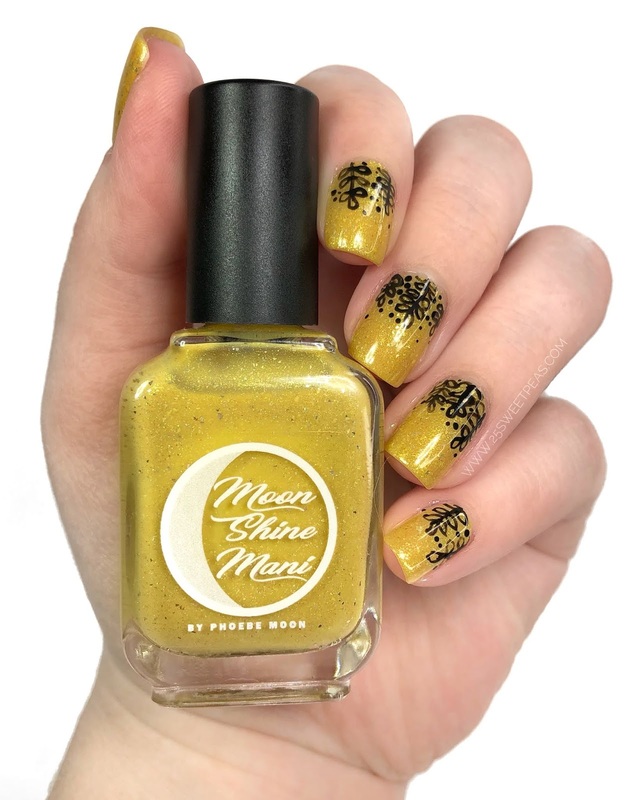 The Moon Shine Mani Duo is inspired by Boy Meets World and more specifically, Cory and Topanga. 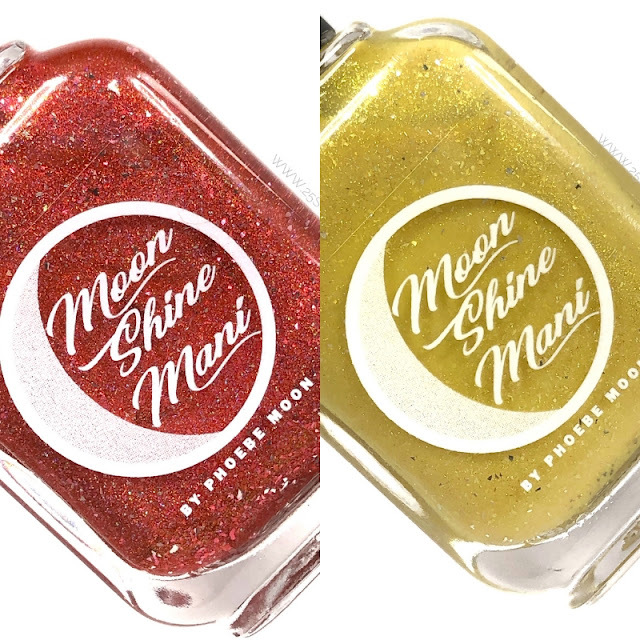 One of the polishes will be on the PPU website, and the other will be on the Moon Shine Mani site! 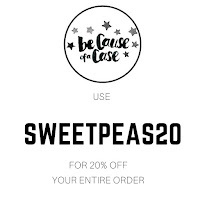 At the end of the post I'll share which polish will be available well and give you a direct SHOP link, just know that it won't be there for purchase until the 1st. 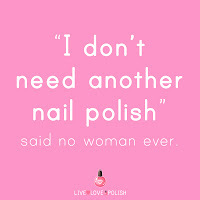 :) Ok enough chatting, lets take a look at the polishes. A cherry red holo sparkling with platinum flakies and glowing with red to green aurora shimmer. I love this polish for some many reason. 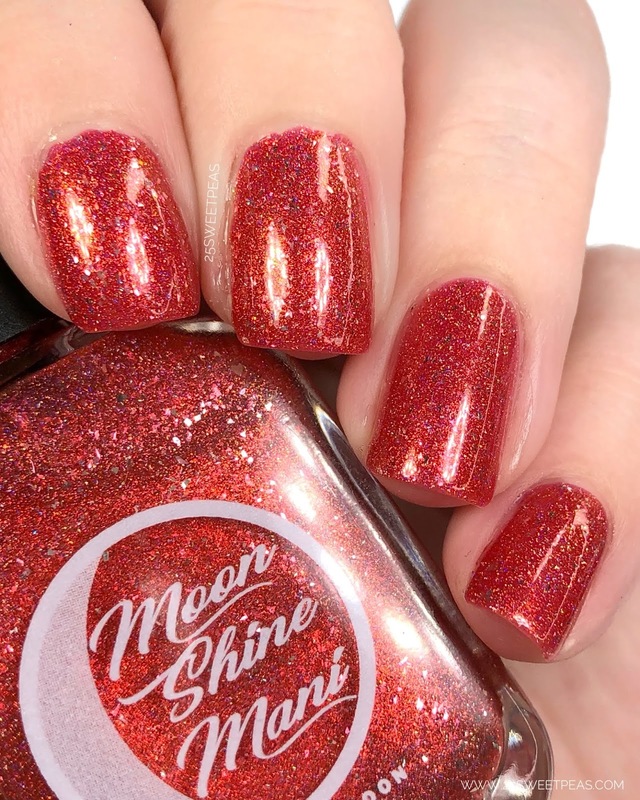 Of course one of them being because its gorgeous, it has a lovely red tone with the perfect amount of holo and "platinum" flakies aka what gives it a metal like finish which I LOVE. Then on top of all of that it has a great formula, and applies perfectly in two coats. 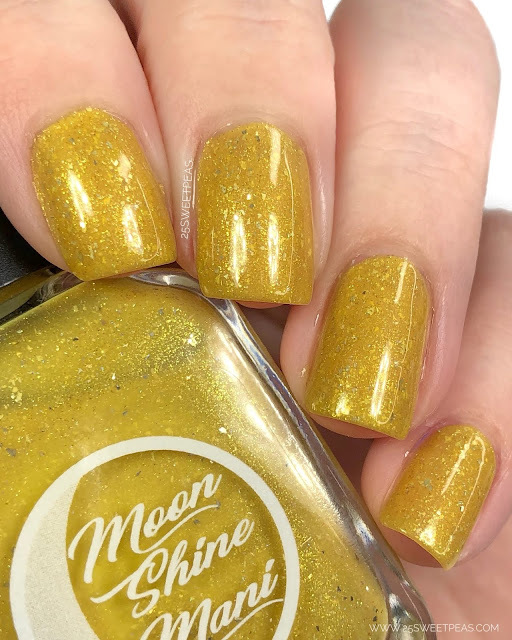 I know I mention this EVERY time I write about Moon Shine Mani, but the brush on these polishes are just the best. 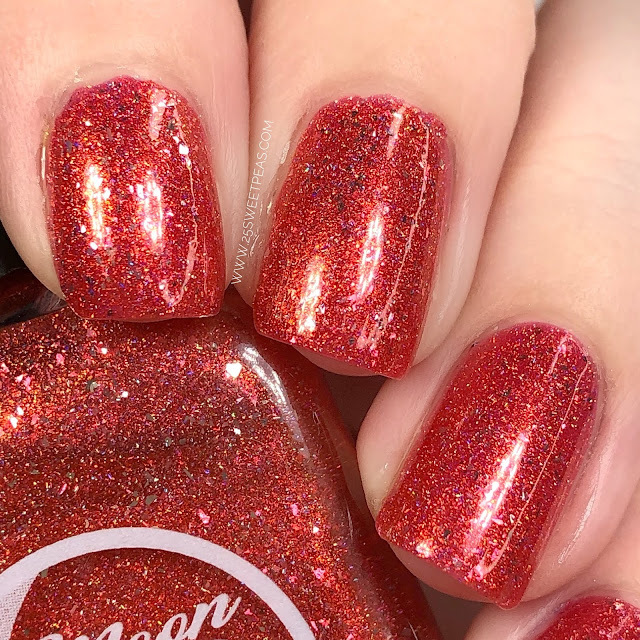 Seriously you can see how easy it is to apply in my Swatch video today if you would like. A mustard cream sparkling with platinum and holo flakies and glistening with gold to green aurora shimmer. This is what I am now calling a happy mustard! 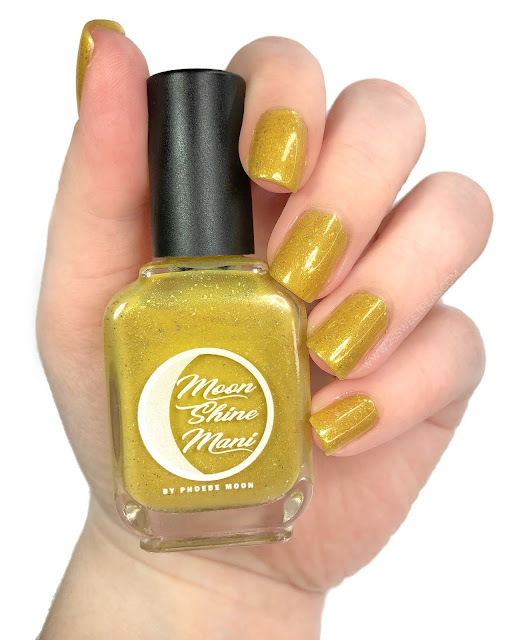 Ha, you know how most mustard shades can be a bit dull and a bit on the muddy side? Well this one is not that. It has a happy feel to it, a bit lighter/brighter than some and the shimmer and the flakies really add to it and make it lovely! Application wise this goes on very nicely and I really like it which I don't often care for colors like this but like I said, its just a happy mustard. Now I thought why not add on some nail art because I am really trying to do more nail art these days because well why not! 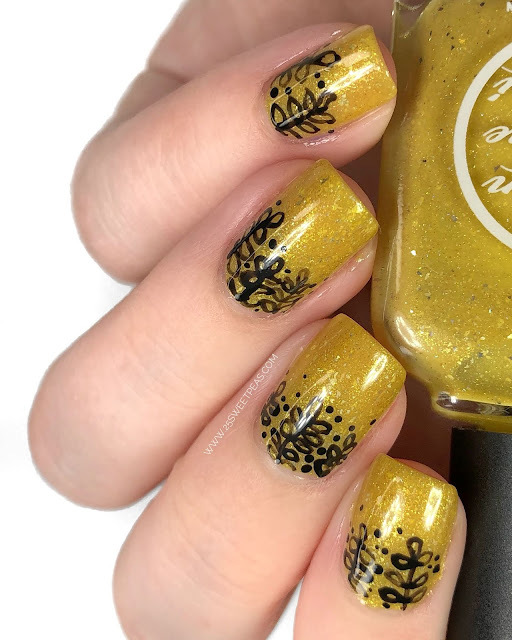 I was thinking about Daisys but decided just a simple black foliage like look would be fun to accent with this polish! Also yes there is nothing art wise on my thumb because well.... I don't know, I was only keeping on the art for a few minutes and my thumb just wasn't a priority I guess! LOL! Well thats a wrap for this post! Hope it was informative in the making of your Polish Pickup list! :) Below are all of the final release details to help clear up any questions/confusion! If you have any questions you cant find an answer to here just ask and I'll do my best to help you out! Release Time: February 1st 11am EST - February 4th Midnight EST. 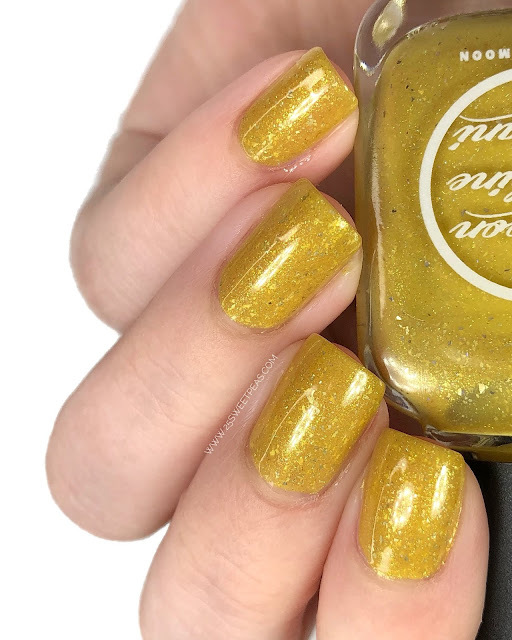 That mustard shade is glorious--just the kind of shade I love. 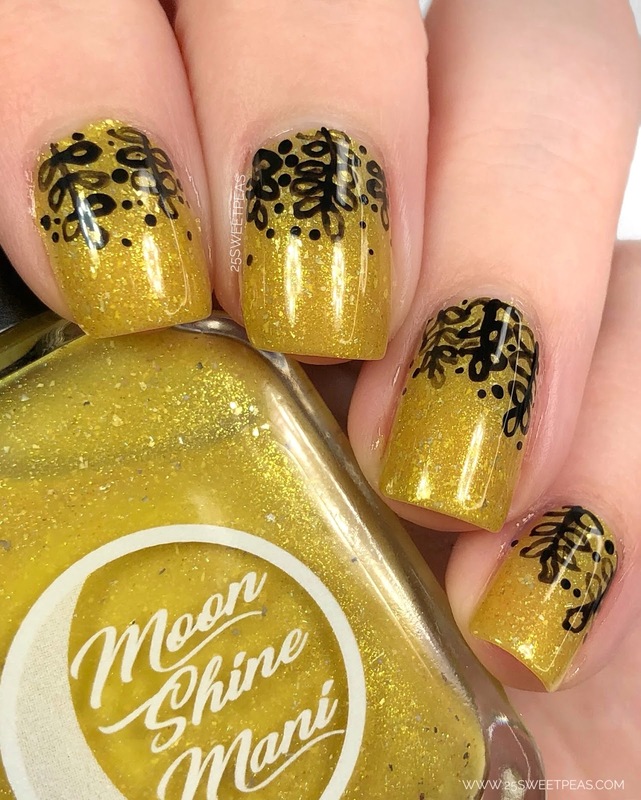 Not sure how the inspiration connects with the polishes, but they are still pretty polishes! I especially love the red! Love Corey and Topanga and these colors are fun. They actually remind me of ketchup and mustard though more than the characters they are based off of. Then again I havent watched the show in a long time so I may be missing the references. Aww I loved Boy Meets World. I haven't watched the reboot but the original had me glued to the tv each week. You have showcased these so well! Both are so pretty! I'm actually really liking the mustard, even though it's not something I'd usually reach for. I'm normally not a yellow fan but I love the mustard vibe. I think I need to pick this one up. I LOVED swatching this duo. They're so pretty together!